Following the success of our neon belts which we launched earlier in the year we now have added some suede contrast belts to our collection. 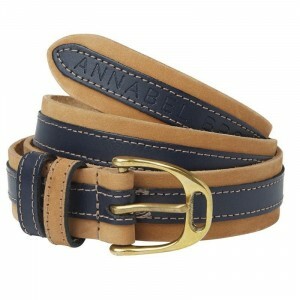 With a simple brass stirrup buckle they are the perfect all round belt. They look amazing with jeans and breeches. Presented in a gift box so the ideal present. As worn in the trot up by Ibby Macpherson at Burghley. We have tried our best to represent the colour of the belts in the photo but this should be used as a guide. Designed and manufactured in the UK.